Prudential Agents Unhappy Over Digital Plans – What Can You Do About It? 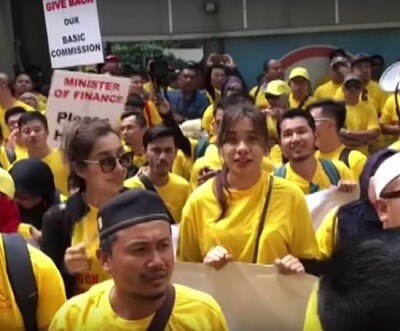 The news of 4000 Prudential Malaysia agents from Prudential Life Insurance Agency Association (Prulia) protesting at the Prudential Tower in Kuala Lumpur on 8th November 2018 came as a surprise to me. The event got my attention because I am a currently a Prudential life insurance policy holder. Why are the Prudential insurance agents protesting? From the news report, it seems the agents are protesting Prudential’s decision to slash their commission and bonuses. What lead Prudential to make the decision to cut the agents income? After doing my research online, I finally discovered the reason. In other words, companies that are going through digital transformation are investing in digital solution to reduce cost and improve their bottom line. If you are an insurance agent and you are concern about digital transformation, there is one word that you should know about. 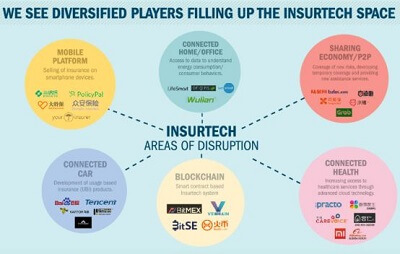 That word is known as insurtech. In other words, insurance company such as Prudential is investing heavily on insurtech to reduce their operational cost. Unfortunately, the commission and bonuses paid to insurance agents are an operational cost to the company. How much is Prudential going to invest on insurtech? According to a report from South China Morning Post, Nic Nicandrou, Prudential Asia chief executive said they will be investing up to US394.1 million a year for the next three years to improve its technology. That is more than US1.1 billion dollar investment on digital solution in the next 3 years! If the company is investing so much money in its digital transformation, it is fair to say that it will definitely disrupt the current insurance agency business model. The current insurance agents’ commission and bonus cut is only the beginning. Expect more cuts and reduced benefits in the future. If you are an insurance agent, what can you do about it? How can you fight this digital transformation in the insurance industry? The bad news is, you can’t fight it. The transformation is happening all over the world and in every industry. What you can do is leverage your skills from being an insurance agent in a new and growing market. This new and growing market is known as Wearable Technology. If the term Wearable Technology sounds scary, don’t worry, it is much simpler than you think. Have you heard of the Aulora Pants with Kodenshi? The Aulora Pants is a Wearable Technology from Japan which many people have seen on Facebook but do not know its full potential. If you want to build a large and sustainable income source to replace your commission from selling insurance, you would have to apply the Blue Ocean Strategy. You can click the link below to learn about applying the Blue Ocean Strategy with the Aulora Pants. Are you currently an insurance agent in Singapore or Malaysia? Are you affected by the commission and bonus cut in the insurance industry? If you have good selling skill and you like to share good things with people, please check out the Wearable Technology opportunity with the Aulora Pants. To know more, just click on the link below to contact me through WhatsApp and I will share more with you.